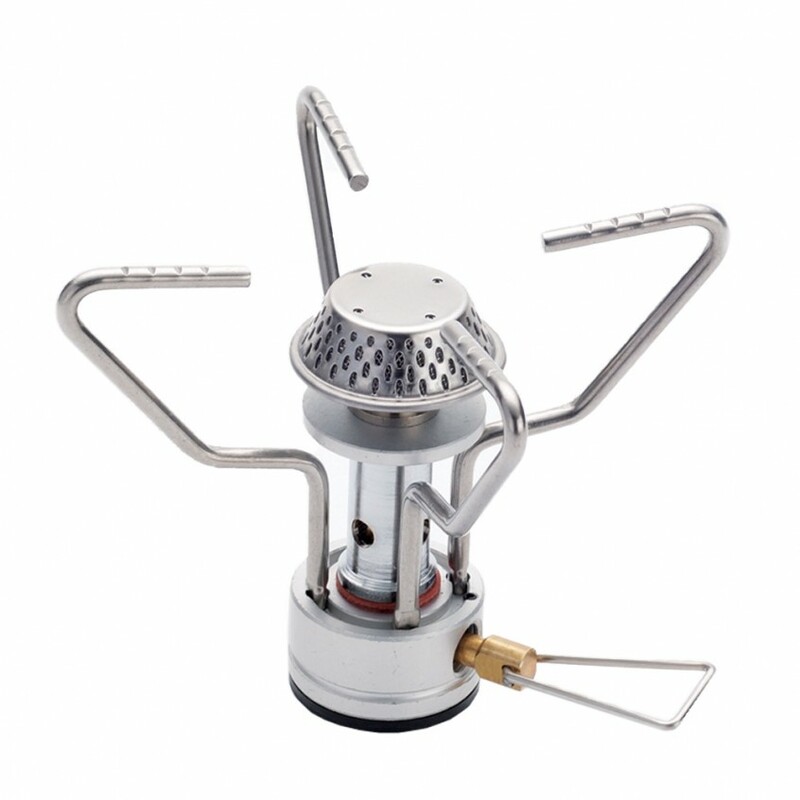 This Eagle stove is ultra-light and compact. 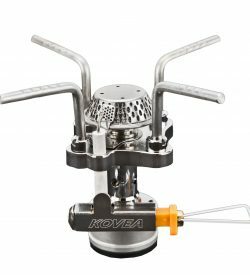 It has durable, rustproof components and an adjustable flame control. 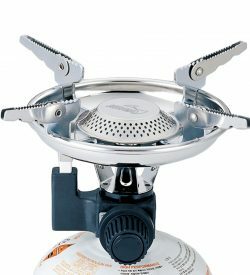 The folding pan supports ease in storage. 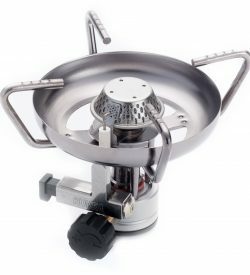 This stove is ideal for backpacking, camping and mountaineering.